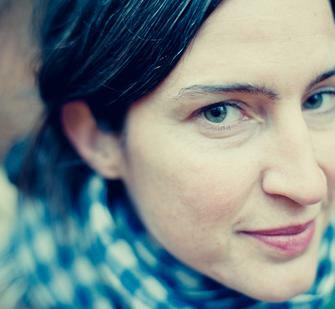 Artist and poet Jen Bervin is a 2018 Artist in Residence at the Alice Kaplan Institute for the Humanities and the Mary & Leigh Block Museum of Art at Northwestern University, and a SETI Institute Artist in Residence, a program that facilitates a cross-disciplinary exchange of ideas between artists and scientists. Recent major projects include Silk Poems, a poem written nanoscale in the form of a silk biosensor in collaboration with Tufts University’s Silk Lab. Her research-driven interdisciplinary works weave together art, writing, science and life in a complex yet elegant way and are the subject of solo exhibitions at the Des Moines Art Center, BRIC, and Granoff Center for the Arts at Brown University, and has been featured in exhibitions at MASS MoCA, The Power Plant in Toronto, The J. Paul Getty Museum, and the Walker Art Center. Bervin has published ten books. Her work has been covered in media outlets such as Huffington Post, NPR, The Nation, LA Times, Artforum, Frieze, Hyperallergic, The New Yorker, and The New York Times, and can be found in more than thirty international collections. Bervin is the recipient of numerous awards and honors from Foundation for Contemporary Art (2017), The Rauschenberg Residency (2016), Asian Cultural Council Fellowship (2016), Creative Capital (2013), and others.